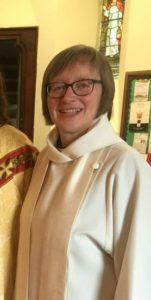 The Archdeacon of Wilts is pleased to announce that she has appointed the Revd Rhona Floate to be the Rural Field Officer for Wilts Archdeaconry and Team Vicar in the Whitton Benefice. Rhona is currently Priest in Charge of the White Horse Team. The date of Rhona’s licensing will be announced in due course. Please continue to pray for her as she prepares to leave her current responsibilities and move into this new role. “I have grown to love the people and communities that make up the White Horse Team. I never imagined moving on so soon. However this post was drawn to my attention and I realised it looked very much like the “ideal” job I imagined some years ago. It took much prayer, careful consideration and discussion with trusted advisers before testing this out. I envisage that I will be here until mid-February at least. Further details will be announced as they are confirmed.